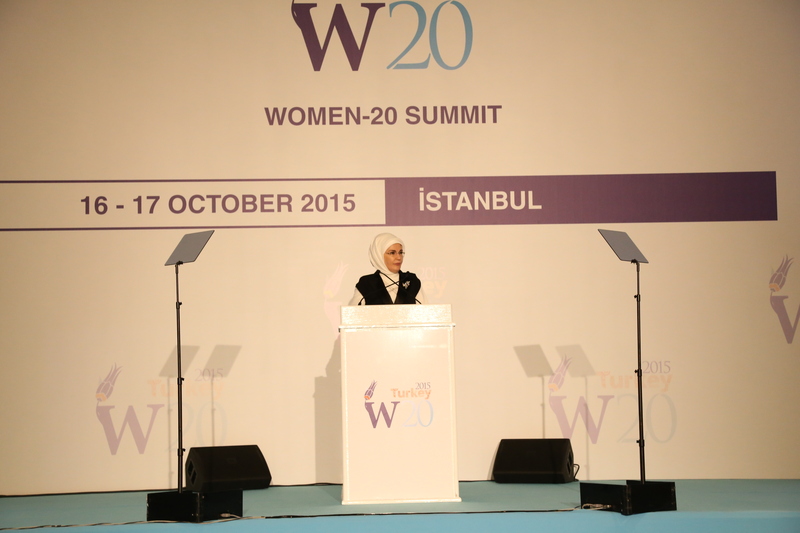 It is my pleasure and honor to welcome you this evening dedicated to the women and women’s empowerment with W20. 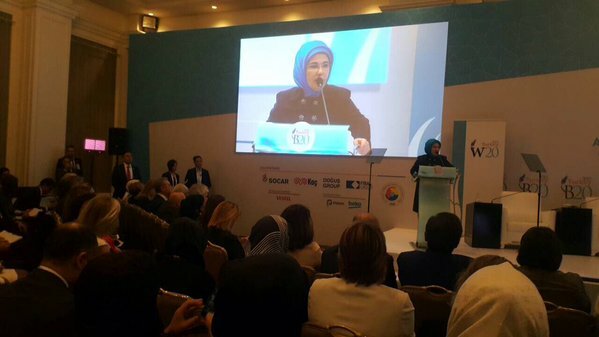 A special welcome to our honorary guest Ms. Erdoğan. 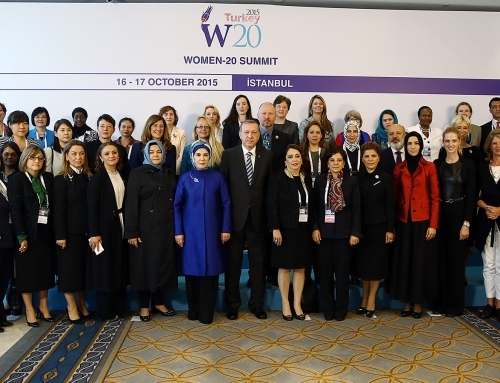 I wish to express my thanks to all participants from W20 member countries. 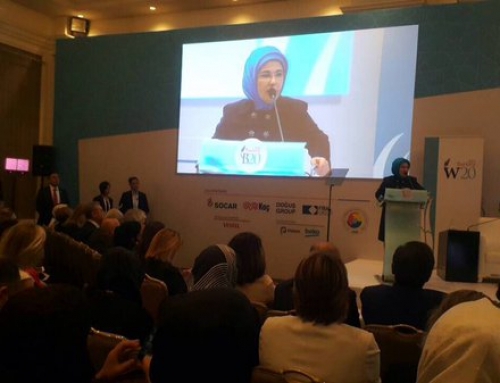 Also I wish to extend my warmest thanks to Ms. Erdoğan for all their support and cooperation. For our guests from abroad also a special welcome. Last but not least, many thanks to all of our Turkish partners and sponsors for cooperation. Today, we have come together at dinner to share the ideas and experiences on women’s economic empowerment. I am glad to see such a wide range of stakeholders ready to exchange their views with us. 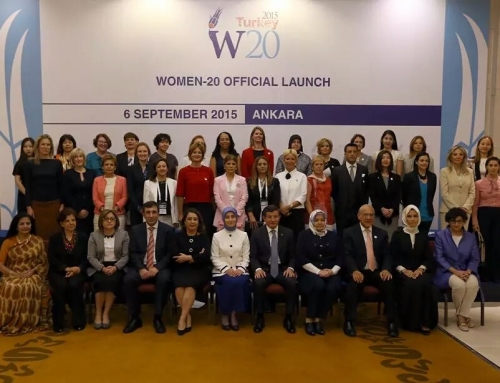 As you are aware, W20 organization is implemented for the first time in Turkey. As a committee member, we believe that women have become a driving force for economic growth and we cannot ignore half of the population. At this point, we need gender inclusive approaches to include more women in labor force and to achieve sustainable growth. 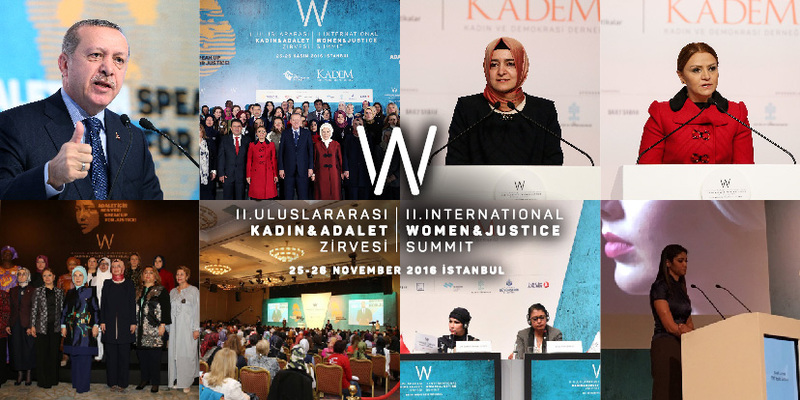 Therefore, as KADEM we especially work on women’s empowerment in different fields, in economy, in politics, decision-making positions, in the media and further. 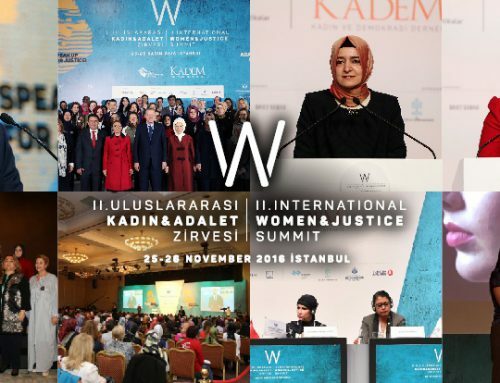 I’m incredibly proud to say that KADEM works hard every day to put another brick on to support women’s rights and w20 is one of this mechanisms. The first day of the summit has shown us the international consensus that we need to find new ways to include women in economy for creating sustainable growth. And I also believe that we cannot make a transition to a more just, equal and sustainable planet without women. In today’s globalized world, if we want to create a more just and livable world, we need more women in all spheres from politics to business and education. We cannot just sit back and think this is someone else’s problem. We have to confirm our commitment on women’s rights issues and to draw up strategies for the future work to overcome the barriers in front of us. We can also be proud of what we have achieved so far! Huge reforms have taken and are taking place within recent social politics throughout the world. Also in history, there are so many examples to the achievements that women lead. Indra Gandhi is one of these women leaders who presided over the world’s most populous democracy, a nation of 700 million people. She struggled against poverty and injustice for opening new ways to have social and political rights, introduced important economic policies and sought to promote agricultural productivity. I must express that every nation has its own specific women issues and problems to be solved, yet women’s local representation and local empowerment is quite important for raising awareness for the global acknowledgement of women’s status. Therefore, without searching for a modern, monotype conception of women, we should embrace women with their regional, local, cultural and ethnic differences and our priorities must be only to protect and empower them in every sphere of life. In addition, ignoring the differences of women and getting blind to their cultural and social values leads us only to an orientalist way of thinking. Hence, we must criticize that homogenizing and discriminating tendencies of monotype women identity and know that women will be more strong while they work together to overcome their problems. As you know, in order to construct strong and developed economies and societies, it is important for women to have economic and social rights. However, women globally face more immediate problems; forced immigration to escape war situations, disproportional violence and insecurity are one of our urgent issues. Unfortunately, women and children increasingly suffer the greatest harm and subject to serious threat to their life and well-being. They seek refuge elsewhere and women face the numerous threats. We in Turkey are hosting almost two million people who escaped the turmoil and war in Syria as you know. At this point, our primary concern is to improve security policies to create more suitable conditions for the security of those women and children who search for a safe heaven. Violence against women and domestic violence is another serious threat to the well-being of women. It is a global problem and violence against women is our common concern that affects women in every socio-economic level of society. Thus, empowerment of women and gender inclusive economic growth requires that women are first safe and secure at home at their countries. Only then they can engage in economic activities and achieve their potentials. We need integrated approaches targeting the root causes of these problems in order to empower women. We need well-implemented economic and social policies developed to provide solutions for increasing women’s status and civil societies have much to do at this point. Because implementing these policies requires more than legal reforms. 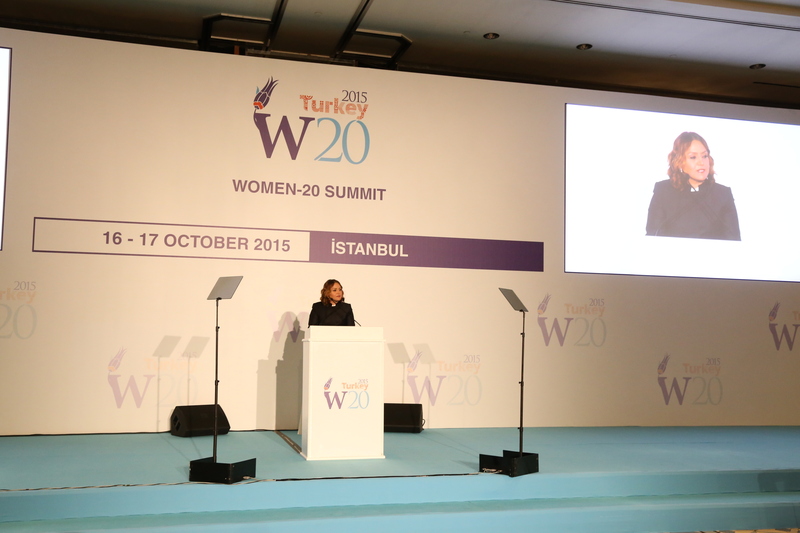 As W20 Comittee, we believe that the focus on the implementations for balancing business and family life is crucial. This is a concern we have to take seriously for healthy family bonds and working life which will protect the welfare of our country. Supporting and paving new paths for women’s entrepreneurship and leadership is also essential for involving women in economic spheres. Hence, enhancing women’s participation in development process is essential, not only for achieving social justice, but also for reducing poverty. And pointing to the strengthening women’s economic, social and political networks is the most important tool for achieving social development. I believe these political areas are widely shared between the institutions and during the course of summit so far. 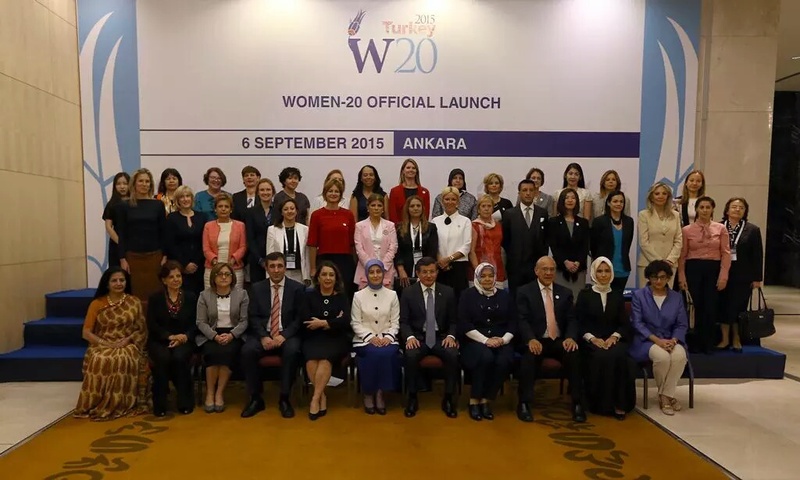 We have succeeded to enshrine them in the basic text and provide for a clear vision on W20, based on women’s economic empowerment which will inspire every nation’s women politics. 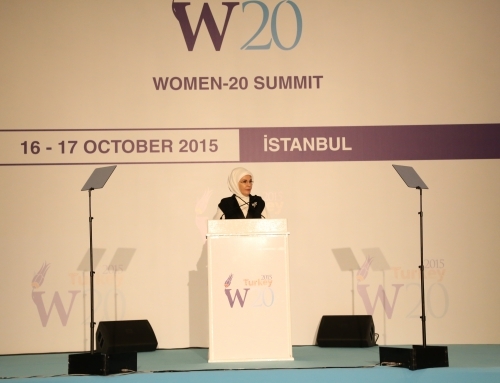 The overall political framework defined by W20, and on clear, transparent and measurable specific objectives set before the member countries. Therefore, I appeal to you all to take active part in the discussions and support the political areas of W20, not only today but throughout the whole process of W20. I believe it is only by a joint international effort that we can succeed and set w20 on the right track so that it continues to facilitate a credible and successful policy for women’s economic empowerment in every other country. I believe that we had fruitful and constructive discussions in summit today. I believe this suggested policies will provide a valuable input both for the current negotiations and future actions. Thank you for your attention that you give to me and I greet you with respect. I wish you a good evening, thank you.